A/Prof. Jeremy Cohen qualified from Charing Cross and Westminster Medical School in 1990, where he also obtained a BSc in Biochemistry. He undertook a post graduate career in clinical medicine and anaesthesia before moving to Australia to pursue a career in Intensive Care Medicine. He is currently a Senior Staff Specialist at the Royal Brisbane and Women’s Hospital in Queensland, the Deputy Director of the Intensive Care Unit of Wesley Hospital and an Associate Professor in the University of Queensland. Besides his clinical duties, A/Prof Cohen is an established researcher in the field of critical care endocrinology. He has authored numerous research articles in the field of adrenal function in critical illness and is an author of the ADRENAL trial, an international multi-centre trial examining steroid treatment of septic shock. 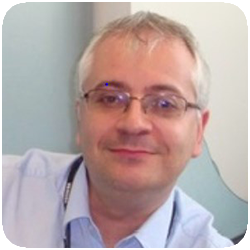 His work has focussed on the measurement of adrenal function and mechanisms of glucocorticoid resistance in septic shock and has led numerous publications in this and related areas. A/Prof Cohen is part of an international collaboration into the genetic basis of the host response to sepsis, and has been involved in forming collaborative research groups in the areas of neurosurgery and burns across Australia and New Zealand.